Genuine FireTacks are durable and reflects a significant smout of the light back towards the lkightsource. The 4D model attaches securely to mark tracks to a night cache. Easy to push into tree trunk with regular muscle power, no tools are needed. 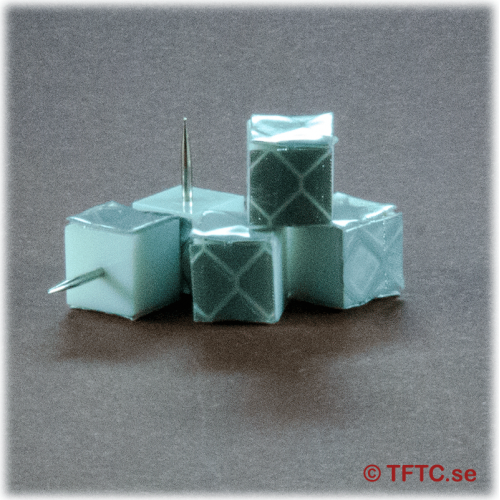 The Tack has three flat surfaces with reflex material and is super reflective both from the head and from the sides. 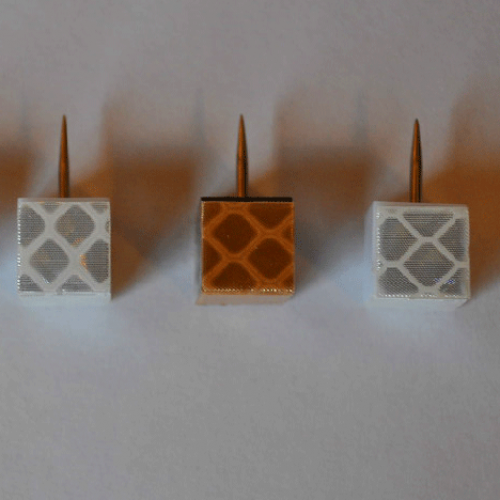 They have a slightly smaller surface so they can not be seen as far as our 3D Pyramid FireTacks. 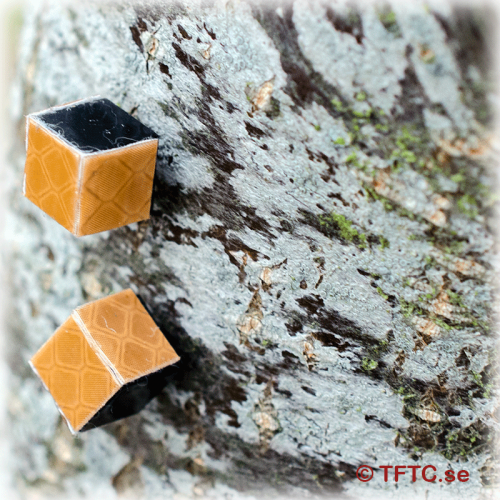 Some use a set of two 4D FireTacks to mark targets or a significant turnaround for things like a geocache.